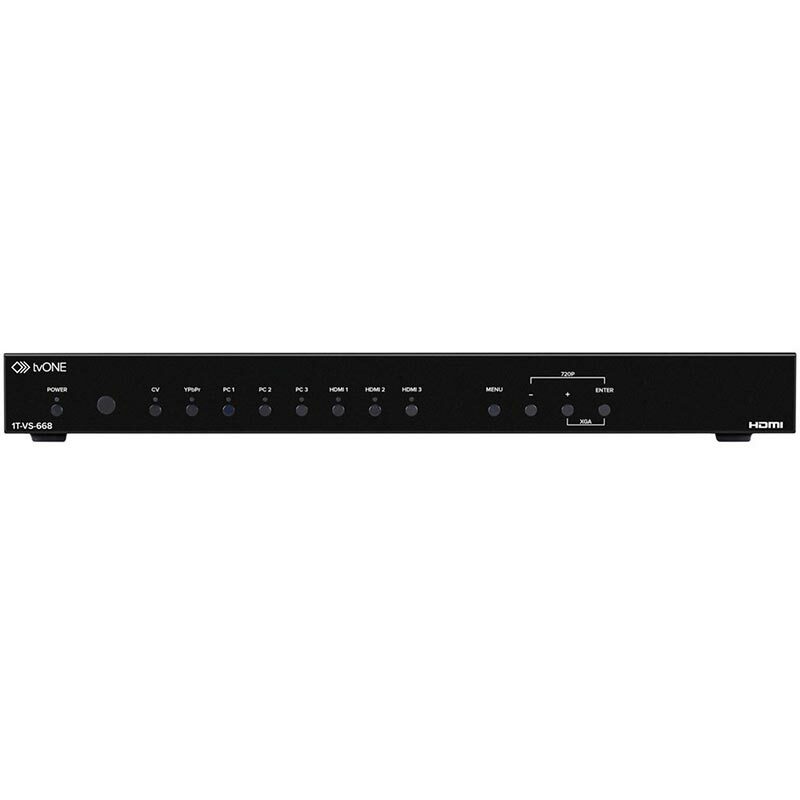 1T-VS-668 Video Scaler is a commercial switcher/scaler with versatile format conversion and multi-output routing capability. Fully scalable video inputs include HDMI, DVI (via DVI-to-HDMI adapter), analogue RGB via HD-15 connectors, analogue YPbPr or 480i/576i YUV Component via three RCA connectors and Composite Video. It handles I/O Resolutions up to 1080p and WUXGA. Both digital and analogue audio processing are supported and audio delays of up to 150ms can be introduced to ensure lip sync. Eight analogue stereo and inputs can be selected for embedding into the HDMI outputs. Separate coaxial digital and stereo audio outputs are also provided.